Obituary for Marlin B. Sweet | Penzien Funeral Homes, Inc.
Marlin B. Sweet, 85, of East Jordan, died Friday, April 12, 2019, at Grandvue Medical Care Facility in East Jordan. He was born on March 14, 1934, in Charlevoix, the son of Claude and Velma (White) Sweet. On July 3, 1954 in East Jordan, he married Glenda M. Derenzy. She preceded him in death on October 18, 2010. Marlin had worked 42 years for Dura and retired in 1997. He enjoyed camping and watching Great Lakes freighters. 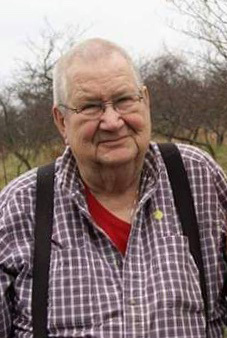 He is survived by four children, Victoria (Gary) Shankle of East Jordan; Marlin C. (Gwendolyn) Sweet of East Jordan, Lynn C. Sweeney of East Jordan and Kay (Kirk) Ralph of Sault Ste Marie, Ontario, Canada; thirteen grandchildren; twelve great grandchildren; and numerous nieces and nephews. He was also preceded in death by one grandson, Brandon Sweet; two great grandsons, Devon Huffman and Josiah Ralph; and three brothers, Melvin, Frank and Fred “Pete” Sweet. A memorial service will be held on Friday, April 19, 2019, at 11:00 A.M. at the Lighthouse Missionary Church, 7824 Rogers Road, East Jordan, MI. In lieu of flowers, the family requests memorials be given to the Grandvue Medical Care Facility, 1728 S. Peninsula Road, East Jordan, MI 49727. Arrangements were handled by the Penzien Funeral Homes, Inc. in East Jordan.